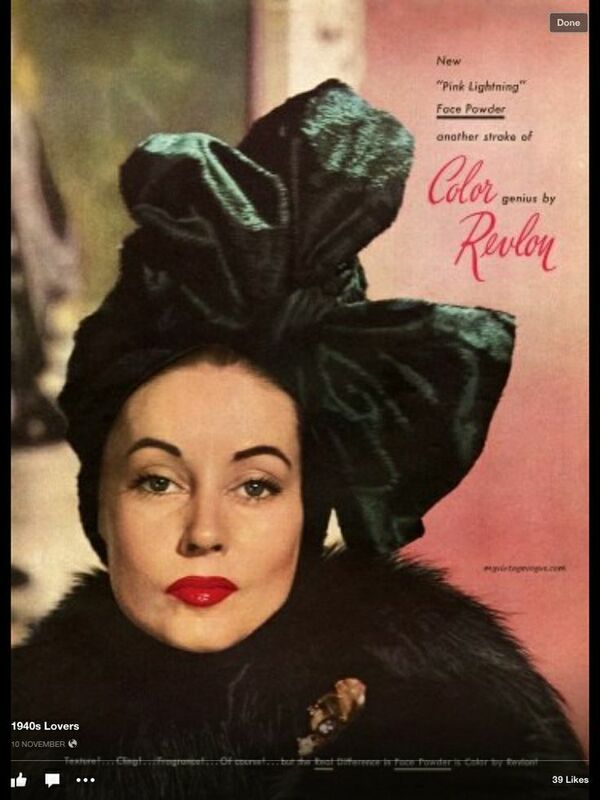 A style that pops up again and again throughout fashion history is the turban--whether it be a tied scarf or hat. 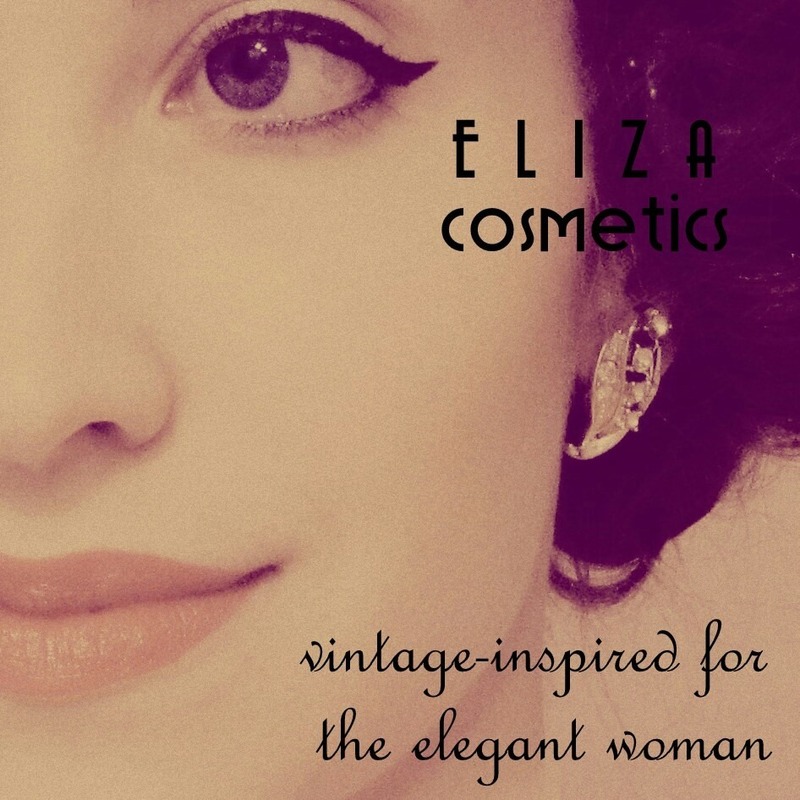 Not only timeless, this look can also be practical; it allows the wearer to hide pin curls, a bad hair day, or can simply be used to jazz up a "look" for a time out on the town! 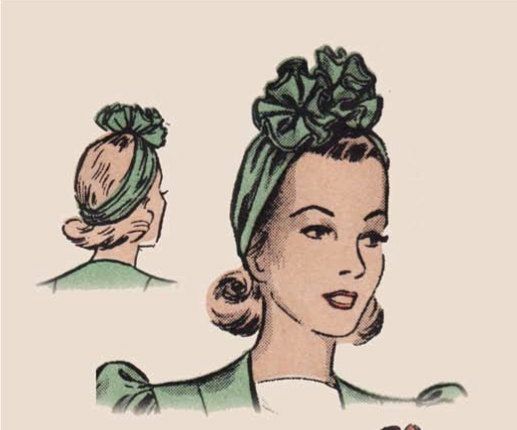 I'm not sure when turbans became fashionable for women's wear, but while they are mostly associated with 1920s or 1940s head wear, they can also be seen in some designs of the 1910s. 1911 Paul Poirot designs; "sultana" skirts, harem pants, and "turban" style hats! 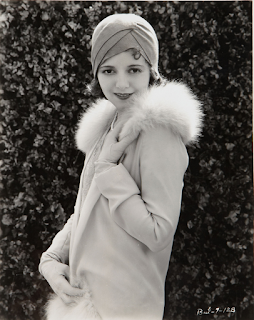 I think my favorite "look" for the turban hats began in the 1920s. Hats that were close to the head, such as the cloche, were very popular among women who had cropped their hair, and the turban style was an alternative option for head covering. 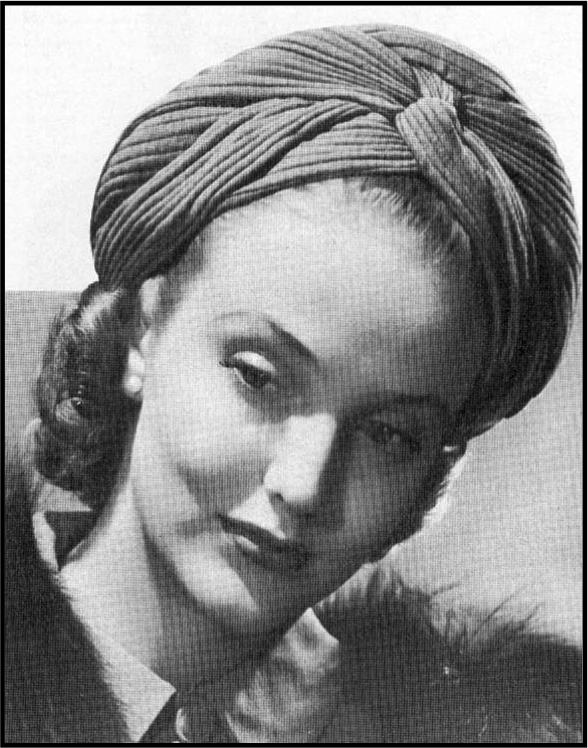 In the 1940s, the turban was popular again (or still? 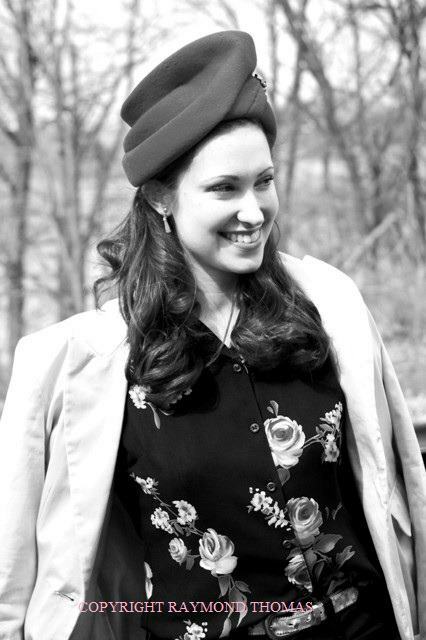 ), both in elegant hat styles, and also in wrapped head scarf form to hide and protect the hair, as many women were working in factories for the war effort. 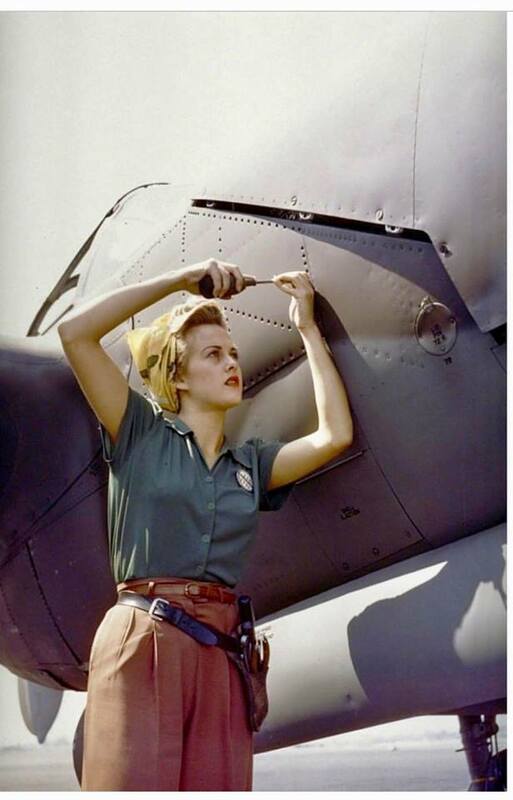 1944, California: Lockheed employee works on a P-38 Lightning. See how her scarf is tied around her hair a little in the turban fashion? 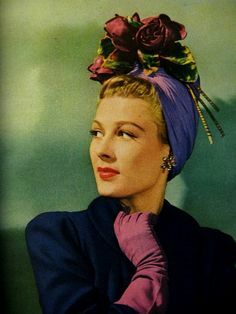 In contrast to the 1920s, the 1940s turbans showed a bit more of hair and were often embellished with flowers, ribbons, and other frills. Sometimes, a thin scarf was wrapped around the nape of the neck and tied at the crown, either in a bow or ruffles. With the 1940s turban, hair was often worn down in back, as well. Some '40s turban styles were quite flamboyant, as you can see in this Revlon ad! 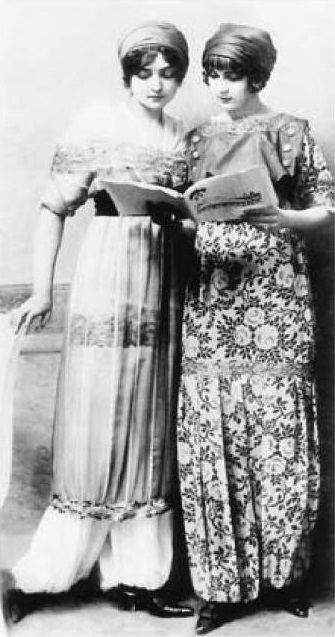 Even after the war, the turban persisted for lounge wear. 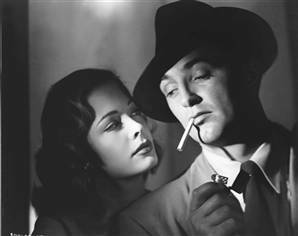 Can we forget Lana Turner in the Postman Always Rings Twice, in her all-white wardrobe and matching turban? 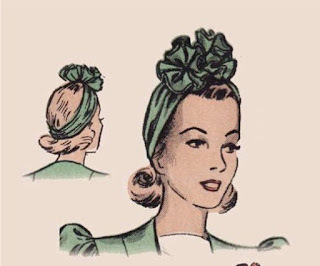 I don't have many turban hats, but I often like to tie scarves around my head on days when I have to go out with wet or messy hair. Me in a scarf tied "turban style". And I happen to have one turban hat, which I do cherish! 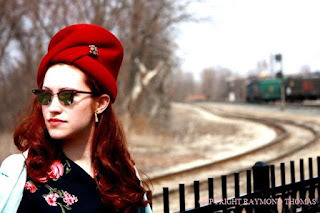 What do you think of turban styles for women over the years? Do you have a favorite look or style, and do you own any? 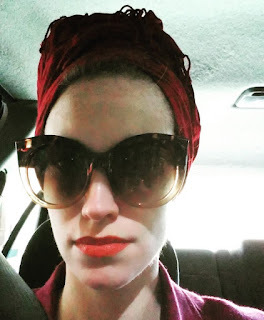 Would you like a tutorial to see how I tie long scarves in to "turbans"? Let me know! As always, thanks for reading!